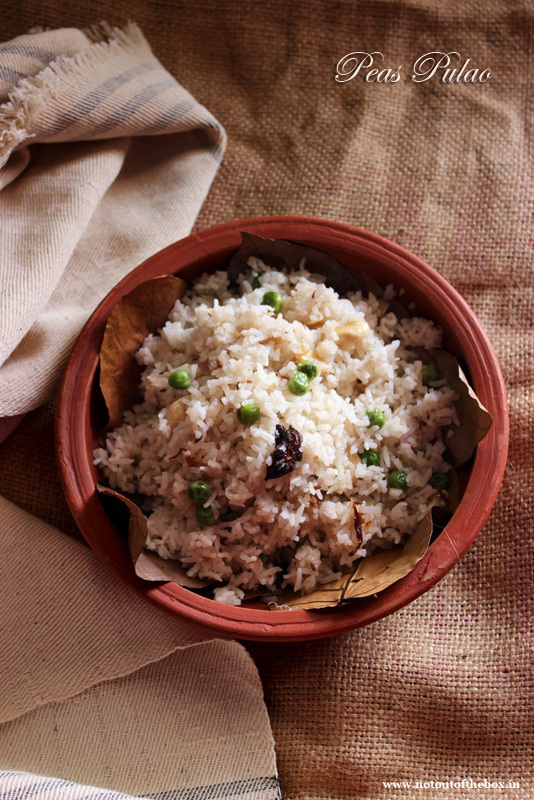 ‘Peas Pulao’ is a popular Indian rice dish. So there are many recipes on this. I’m sharing my version here, easy to cook & very flavorful. Wash the rice well. Boil the rice until 80% done. Drain & keep aside uncovered. Cut the cashews in halves, and the almonds in 4 pieces lengthwise. Keep aside. Heat oil in a deep bottomed pan (nonstick preferably). Temper with cumin seeds, green cardamoms, cloves & cinnamon. Add sliced onions, fry on medium flame until light brown in color. Add rice, star anise, salt, sugar, peas, dry fruits, ghee, nutmeg powder & mace powder. Mix well. Cook covered on low flame for 10 minutes. Stir 2/3 times in between. Remove from heat. 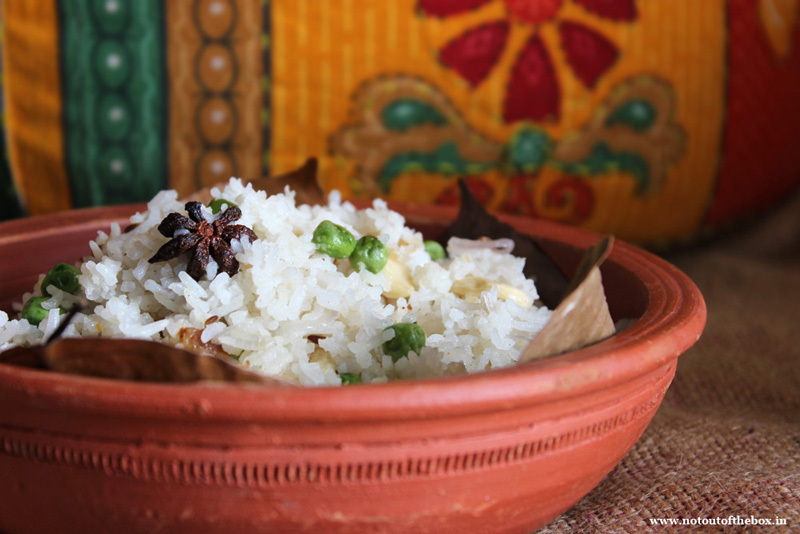 Keep the ‘Peas Pulao’ covered after the cooking to get the nice aroma when you are going to have it. While mixing stir the rice gently, otherwise the rice grains will become broken.